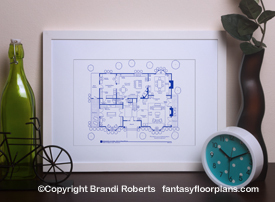 Buy a poster of Bree Van de Kamp's floor plan! 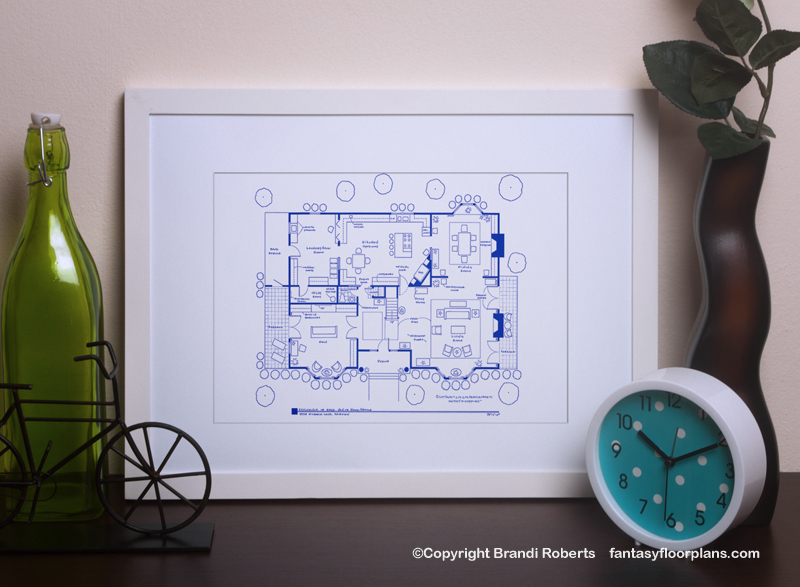 This is my fictional Bree Van de Kamp floorplan from Desperate Housewives. This floor features a large living room with double French doors, formal dining with marble fireplace, den with built-in entertainment center, a gourmet kitchen and large mud room/laundry area. You'll find plenty of cleaning products in the kitchen and not a speck of dust anywhere in Bree's slightly too perfect Georgian inspired home. 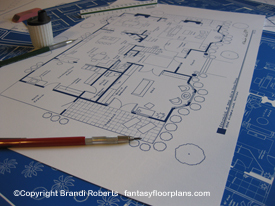 My Bree Van de Kamp floor plan is sure to delight! 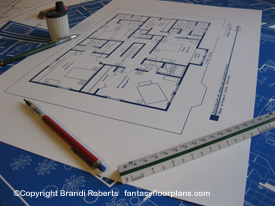 This is my floor plan for her first floor. 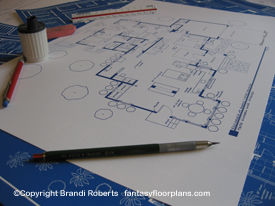 My fictional floor plan for the second floor of Bree's perfect Wisteria Lane home can be found here. My fictional floor plans for rest of the desperate houswives are here -- Susan, Gaby, and Lynette. Put them together and you'll have a fantastic conversation piece for your home or office!